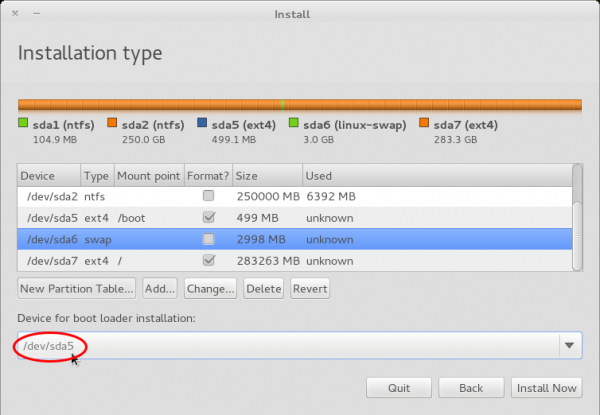 By default, the installer will want to create the first partition as a logical partition. 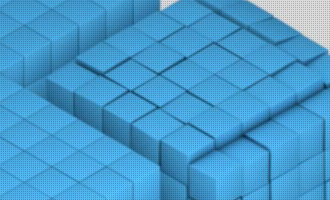 By doing this, it will first have to create an extended partition in the background. 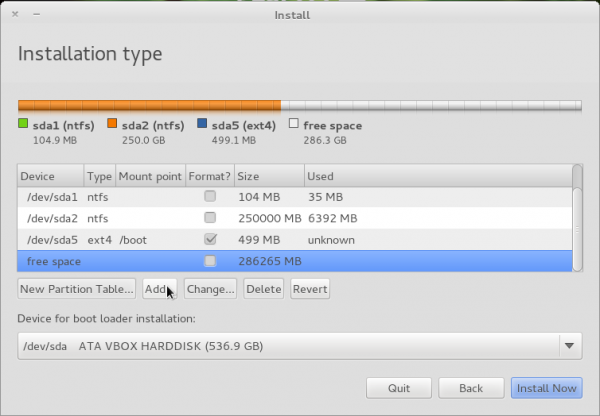 An extended partition makes it possible to create all the partitions we need to install Pear OS. Also, ext4 is chosen as the default file system, which is just fine. The two things you need to do here is, specify the size for the partition, and select the mount point. 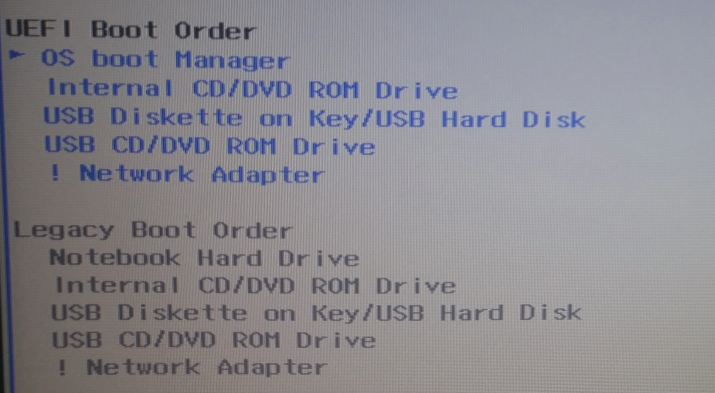 Since the first partition is going to be the boot partition, about 500 MB is more than enough for it, and the mount point should, of course, be /boot. OK. 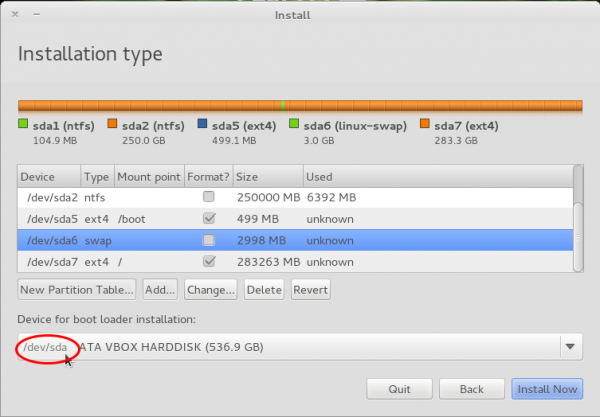 The newly created partition is listed as /dev/sda5, which is the first partition of an extended partition. Select the remaining free space and click Add. This step will need to be repeated for any other partition you will create. 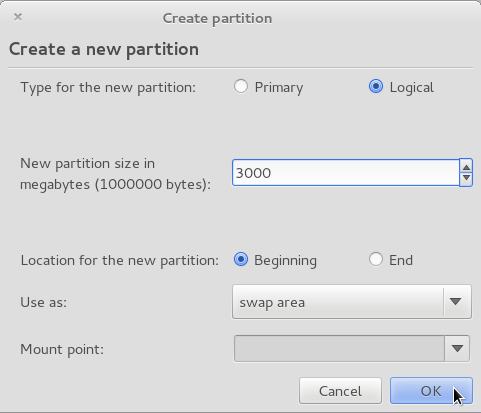 The second partition will be for Swap. 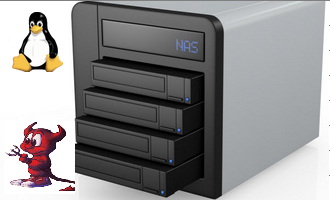 Most distributions, depending on installed RAM or memory, will allocate between 2 GB to 4 GB to Swap. 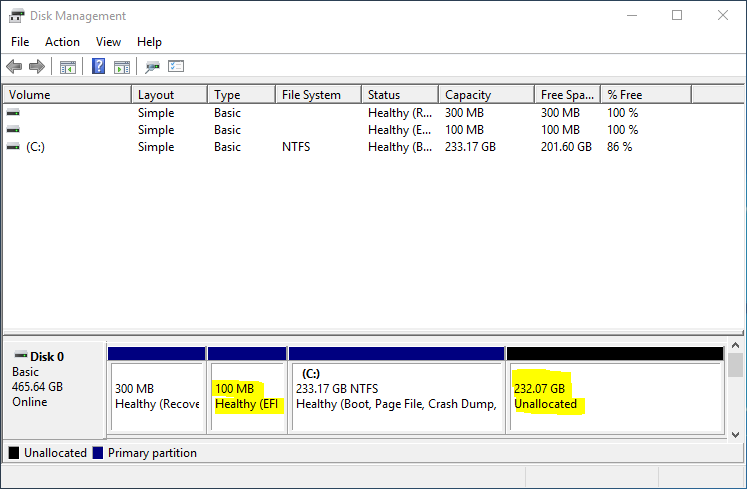 For guidance on how much disk space to allocate, see recommended disk space for Swap. For this tutorial, I am going with 3 GB. Be sure to select “swap area” from the “Use as” dropdown menu. 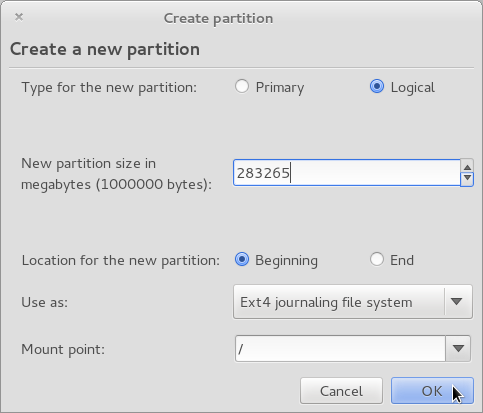 OK.
For the last partition, all remaining disk space will be allocated to it. Note that if you are going to create a separate partition for /home, you need to assign about 6 GB to 10 GB for the root partition. The recommended size is 5.3 GB, but if you have disk space to spare, be generous. The mount point should be root. OK.
All the partitions have been created. 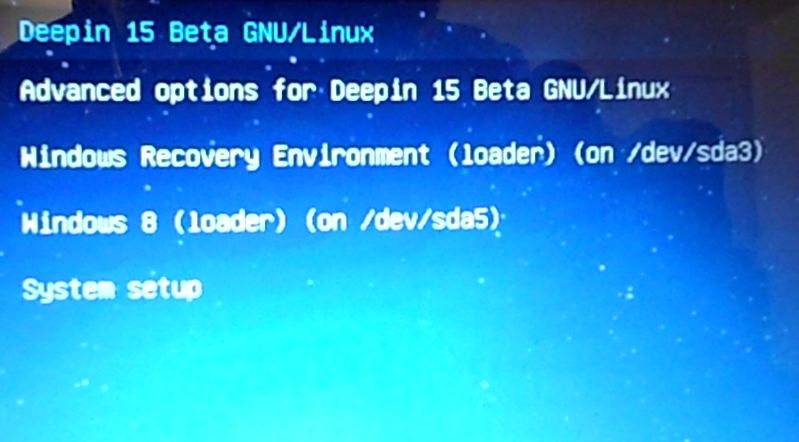 The next task is to tell the installer where you want GRUB, the boot loader, to be installed. By default, it will want to install it in the Master Boot Record (MBR). But because Windows has already installed its boot program there, the best location is in the boot partition. 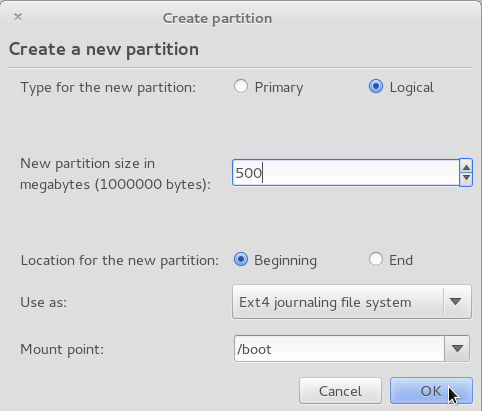 If your partitioning scheme is the same as this tutorial’s, the boot partition is /dev/sda5. So, from the dropdown menu under Device for boot loader installation, select the entry corresponding to your boot partition. Here is what it should look like before you click Install Now. 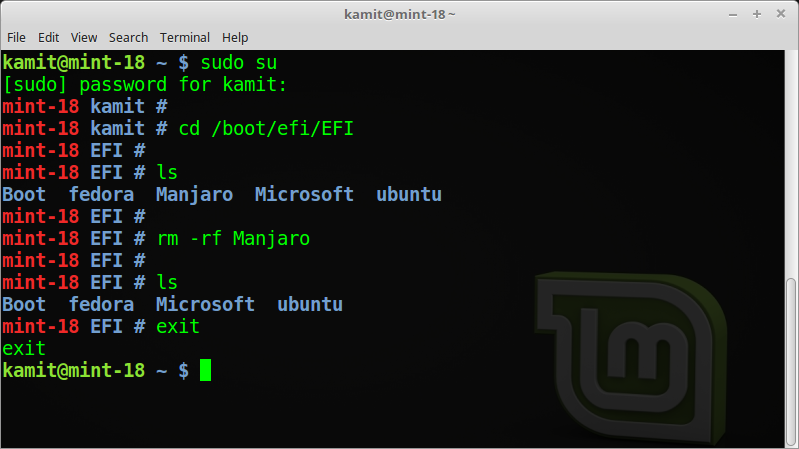 When you are certain that the right location for boot has been selected, continue with the rest of the installation. After installation has completed successfully, reboot the computer. 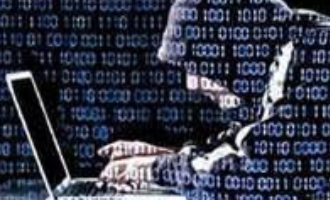 The computer will reboot into Windows 7. That is normal. 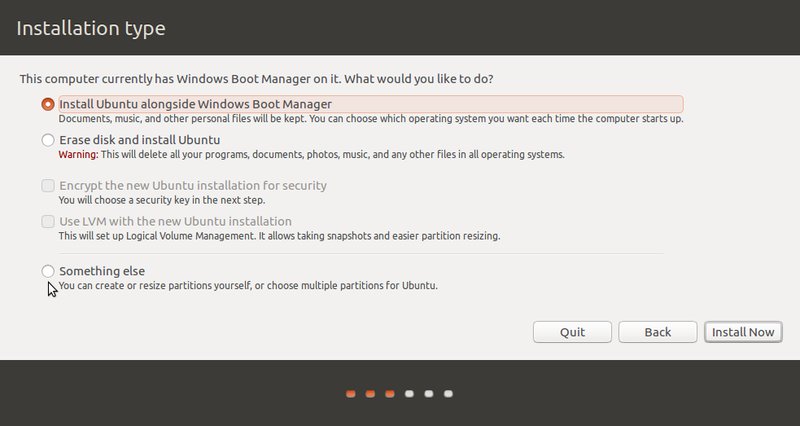 Until you added an entry for Pear OS in Windows 7’s boot manager’s menu, there will be no way to boot into Pear OS. The next and final task, then, is to do just that. The program I know that makes the task very easy, is EasyBCD. It is free for non-commercial use, and you may download it from here (on that page, scroll all the way down for the link to download a free copy). This is EasyBCD’s default view. Click on Add New Entry tab. 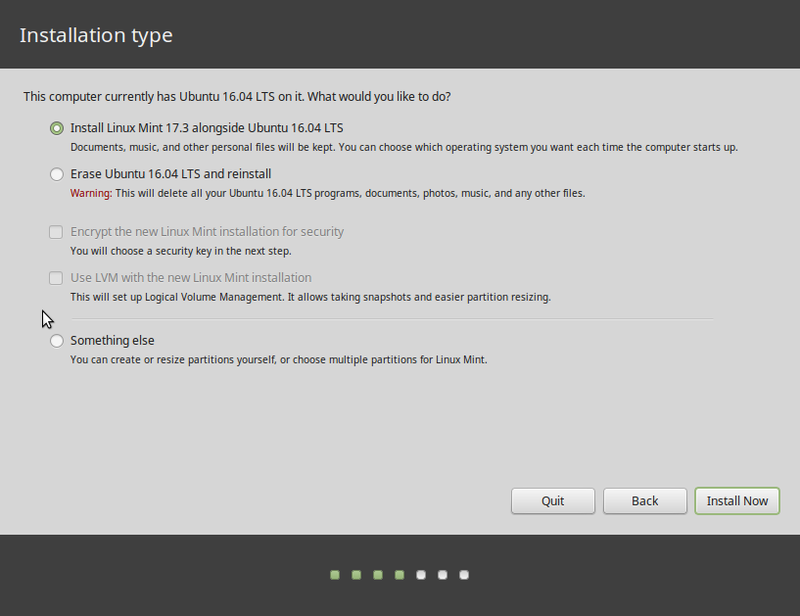 On the Add New Entry tab, click on the Linux/BSD tab, select “GRUB 2” from the “Type” dropdown menu, and edit the “Name” field to reflect the correct name of the Linux distribution. 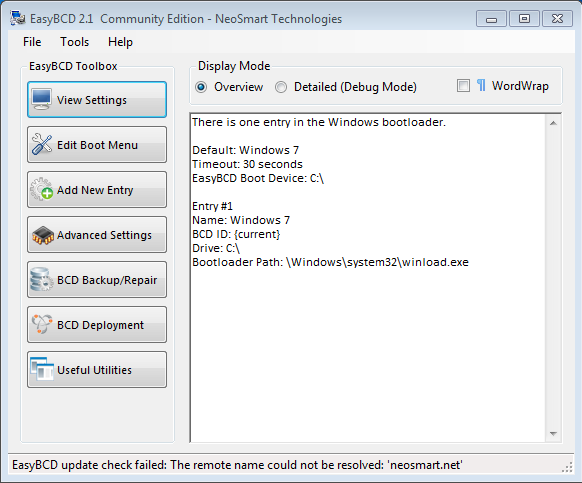 Click the Add Entry button, then click on the Edit Boot Menu tab. 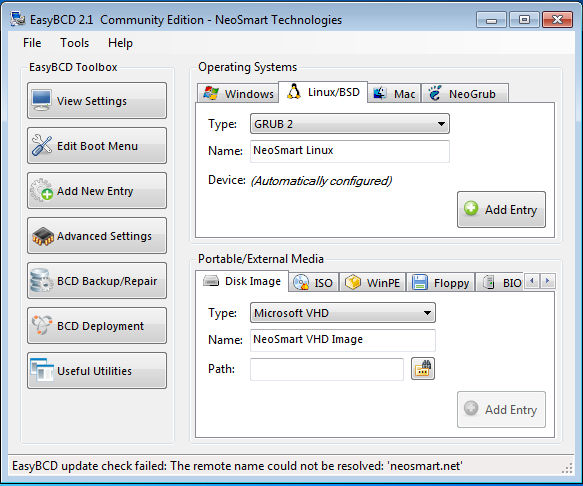 In the Edit Boot Menu tab, you may edit the Pear OS entry to correctly reflect the name, if you did not edit it in the previous step. 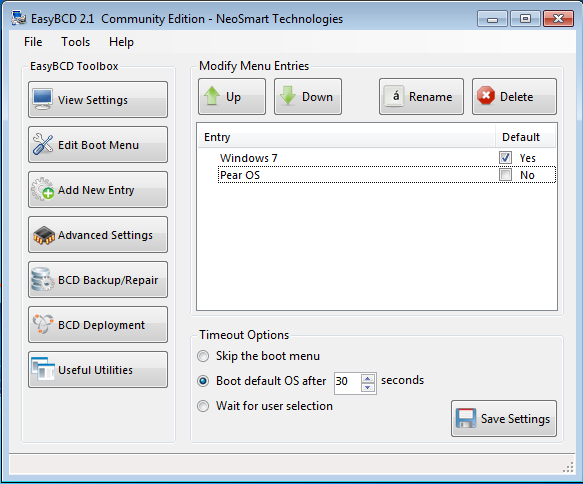 Click Save Settings, exit EasyBCD and reboot the computer. Every time the computer is booted up, you will see the Windows boot menu with an entry for Windows 7, and another for Pear OS. Alternately, boot into each one just to make sure that the dual-boot operating was successful. When you attempt to boot into Pear OS, you will see GRUB’s menu, and it will have an entry for Windows 7, besides the default entries for Pear OS. Enjoy!